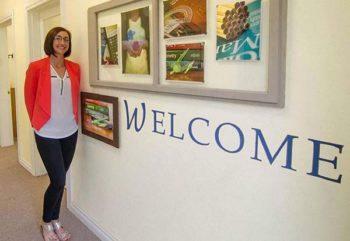 Can I get private tutoring in La Center? As a smaller town, La Center, Washington doesn’t even have any fast food establishments or grocery store chains in the city limits. Because of this, many parents think that they have to make the drive to downtown Vancouver for a tutoring service, but at Gold Star Tutoring, we know that education is important no matter how big or small the city. If you know a student that needs tutoring in La Center>, call your local tutors first with a convenient office right in the heart of town! English. English is much more than reading and spelling, especially at the high school level. Whether the student needs help with a book report or with formatting a personal essay, our tutors have the skills to assist them. History. Those who cannot remember the past are condemned to repeat it. Whether that’s US History, World History, Washington State History or studying current world problems, students can come by our tutoring center and let us take a look. Math. Math is an area where many students have difficulties due to subjects building upon each other. Because of this, we have multiple math tutors available at any given time so students can come by at a time that works best for them. Science. Like math, many areas in science depend on previous knowledge. Some of the most common areas where students come in for help are Physics and Chemistry. With one-on-one lessons, many students gain a further understanding after a few sessions. Have a dyslexic student? Our reading tutor is trained to help! While using the Orton-Gillingham Approach, our dyslexia tutor uses a multi-sensory method of learning with each successful lesson building upon the last. Notable improvements in reading and writing have been seen in several of our past students in a matter of weeks! 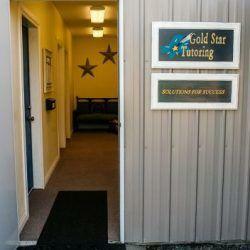 At Gold Star Tutoring, we want to help any student that we can, whether they’re in the La Center School District or not. This includes homeschool students, ESL and international students, and even private school students that don’t have access to a personal tutor. Tutors tailor their sessions to the individual student and learn what works best for him or her. And because we only do one-on-one tutoring sessions, students don’t have to compete with others for the attention of the tutor. For more information or to set up an appointment with one of our tutors, call or contact us today.